All right, here's something all y'all should know: first, I'm not Southern/Texan, so don't let my use of y'all confound y'all. (Y'all git that?) Second, the life of a Venom fan is a sad one, indeed. We're accustomed to wandering aimlessly in a hungered trance through the wastelands of obscurity as our idol suffers in a limbo of nonexistence between appearances in comics and television. Then, at the first drop of the precious life blood that is the smallest scrap of news into the stale water of our collective tears, we gobble it up voraciously, processing and ridiculing every minute detail as our All-Father, Todd McFarlane, had taught us to do those 25 years ago when he and David Michelinie brought Venom into this world. There is only one of two reactions to be had from a Venomaniac upon the deliverance of the news: the blind ecstasy of joy and anticipation, or the infernal flurry of disappointment and spite. More often than is justifiable, we experience the latter of emotions; but we know this is the price for our love, and we accept it for those scarce moments of reaffirmation. Back in mid-December, I ran an article in which I experienced a mixture of reactions when Sony hid an official press release about the development of a Venom spinoff film as an Easter egg in their Amazing Spider-Man 2 viral website. Ever since that fateful day, the Venomaniac community has been debating and sweating bullets over who would bond with the living suit in the film. One party—the party of comic book geeks and long-time Venom fans, including myself—is crossing its fingers, hoping that Eddie Brock, the first Venom host, would reprise his role and take his rightful place. 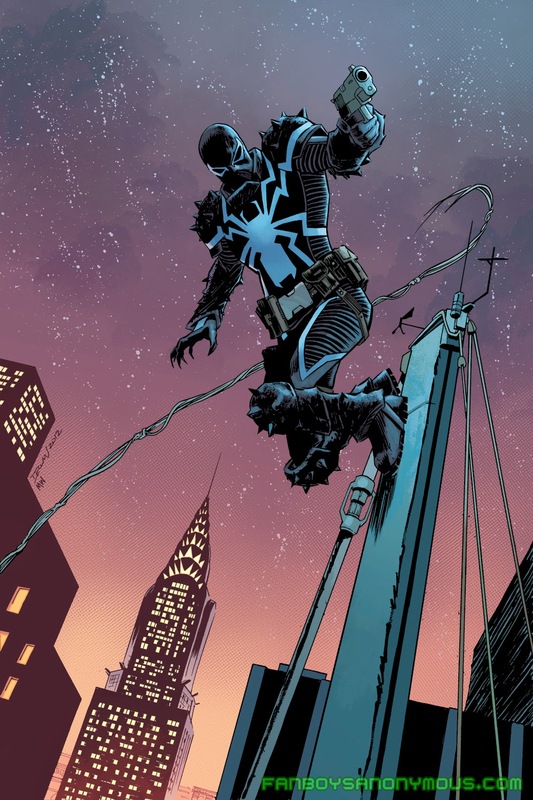 The other party—the party of recent Venom converts—are rooting and making a lot of noise for Eugene "Flash" Thompson to make his heroic debut as the gun-toting Agent Venom, the current host of the symbiote in the comics. Venom hated only one guy—Spider-Man. He wasn't innately bad, he was a shortcut guy, not really into fighting hard for achievement. That's the Venom story. Can he also be a good guy? As you know, Venom was also called "lethal defender of the innocent." We had a great history with him, especially caring for the homeless, which is a very sensitive issue and something that many of us are very concerned with. Our villains all represent a different side of the misunderstood, and some of them unfortunately turned to the dark side. Venom happened to be a phenomenal character. With Eddie Brock, or if you do Flash Thompson, it doesn't matter who is going to be inside the suit—what's important is that a man like him is going to realize there comes a time when you wake up in the morning and say "How did I get here? There must be a better way." Don't see my point? Here, let me break this quote down. From "Venom hated only one guy" to "Venom happened to be a phenomenal character," things were looking good for the Brock camp. 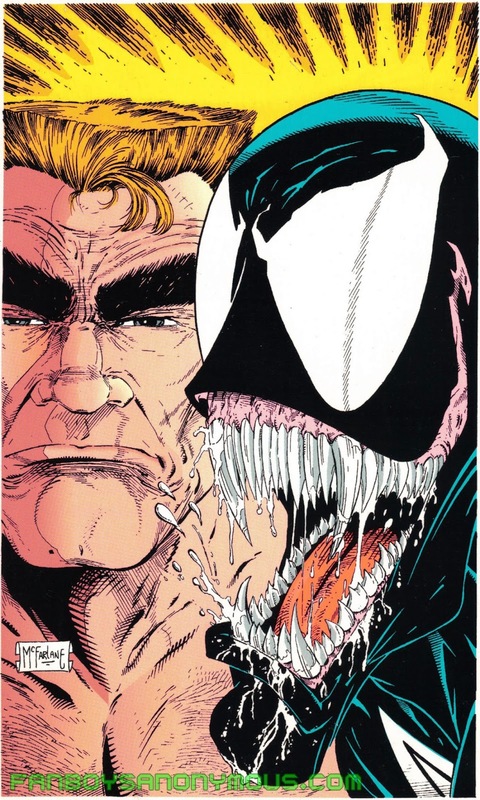 Everything in between those clauses was purely Eddie Brock reference, and not just that: it was all referencing his early career from Dark Origin (not a valid example, but that limited comic book series is just as important) to his days in San Francisco during his multiple solo series from the '90s. This is exactly what we in the Brock camp have been dreaming of: a Venom film that took the character back to his Golden Age with a production crew that respected the source material while improving upon it from years of experience. 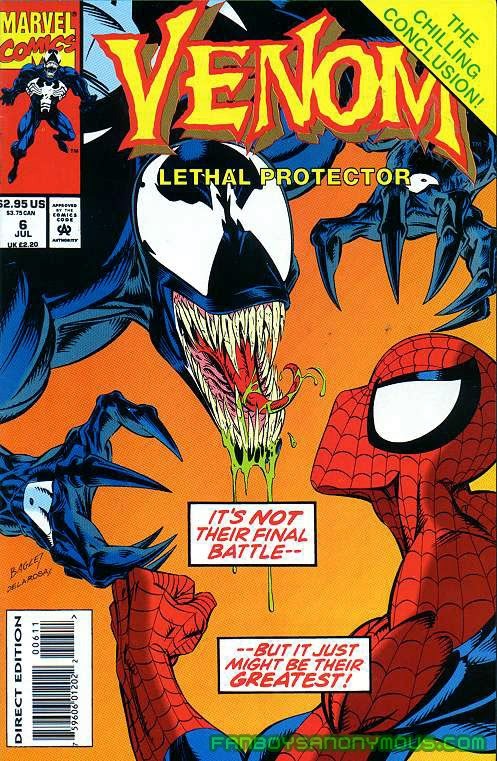 I'll forgive Arad for screwin' up that whole "lethal defender of the innocent" plug for its inaccuracy, being that he meant to say Venom was also called a "lethal protector of the innocent," as was the subtitle of his first solo series, Venom: Lethal Protector. All confetti and fireworks, right? Then comes the part that, even to this moment in writing about it, absolutely boils my blood and brings back that inescapable, utter dread: "With Eddie Brock, or if you do Flash Thompson, it doesn't matter who is going to be inside the suit." IT. DOESN'T. MATTER? You're saying that the hosts of Venom are interchangeable, Arad? Let me list for you guys and gals a few of the only characters that are truly interchangeable: Tweedledee and Tweedledum. 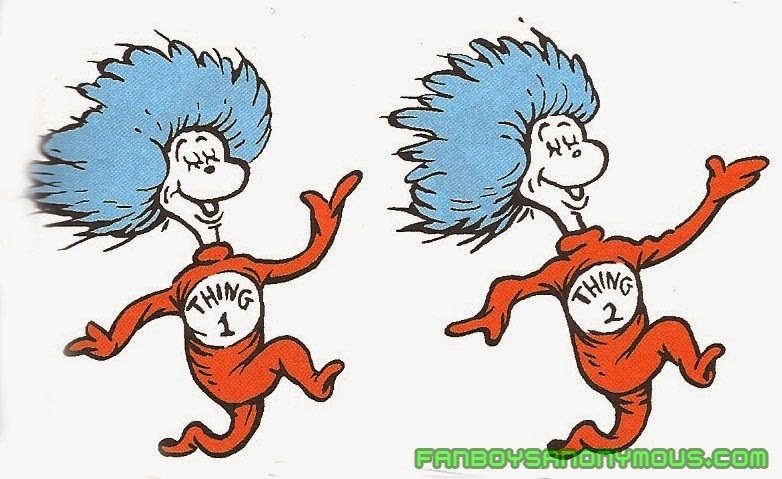 Thing One and Thing Two. Those creepy twins from The Shining. They are interchangeable. The various hosts of the Venom symbiote are in no way interchangeable. It's hard not to see double when looking at these two. Okay, sure, maybe they all do share a common theme under the Venom banner, but to say "it doesn't matter who is going to be inside the suit" is an unnecessarily liberal interpretation of Venom in general. Let's take a look at the possible host candidates for the film and see how interchangeable they really are. In the mainstream Marvel comic book continuity, there have been four characters who've carried on the Venom legacy: Brock, Angelo Fortunato (who lasted two issues before he was killed), Mac Gargan (better known as another of Spider-Man's classic foes, the Scorpion), and Thompson. We can leave out Harry Osborn, Peter Parker's best friend and son of his greatest foe, the Green Goblin, who was the first (and, so far, only) Venom host in the Ultimate Spider-Man cartoon. There was a period a while back when Venomaniacs feared he would bond with the suit in the film, but thankfully it's been officially confirmed that Osborn (Dane DeHaan) will become the Green Goblin in Amazing Spider-Man 2. We can safely assume that Fortunato wasn't even considered due to the fact that even those few who know him as a Venom host don't really care for him. Additionally, Gargan can be taken off of the candidate list because there's no way Sony would sacrifice his potential as the Scorpion for a future film. (Besides, Gargan didn't fare too well with fan opinion during his career as Venom.) I'll still include Gargan in my argument against these characters' interchangeability, though. That leaves us once more with Brock and Thompson as the top contenders. Let's start with age before beauty, shall we? (Wow, I didn't realize how accurate that expression would be in this case.) Brock is basically everything Arad summarized Venom as, plus some. Unlike every other host listed above (save Fortunato), Brock was created to become Venom. Heck, by all intents and purposes, Brock is Venom; the name "Venom" was derived from the drivel and venomous exposés Brock was forced to write for trashy magazines and newspapers when his career as a journalist for the Daily Globe tanked after the Sin Eater debacle. He is the very definition of an ironic character: he represents everything Spider-Man could have become had he not taken to heart his Uncle Ben's final lesson (y'know, "With great power…" yadda yadda). 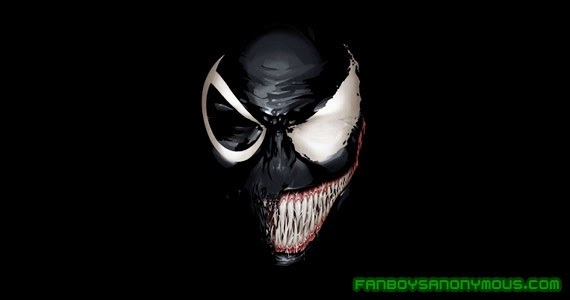 Venom was originally a twisted version of Spider-Man who mocked even his appearance and powers. Brock's theme is a combination of both Arad's interpretation and the consequences a person encounters when given great power without accepting the great responsibility that's entailed. Gargan was a wholly different type of Venom from Brock. He was a thug and a monster with an interest only in himself. At least Brock cared about protecting the innocents; Gargan had to be ordered to do that. 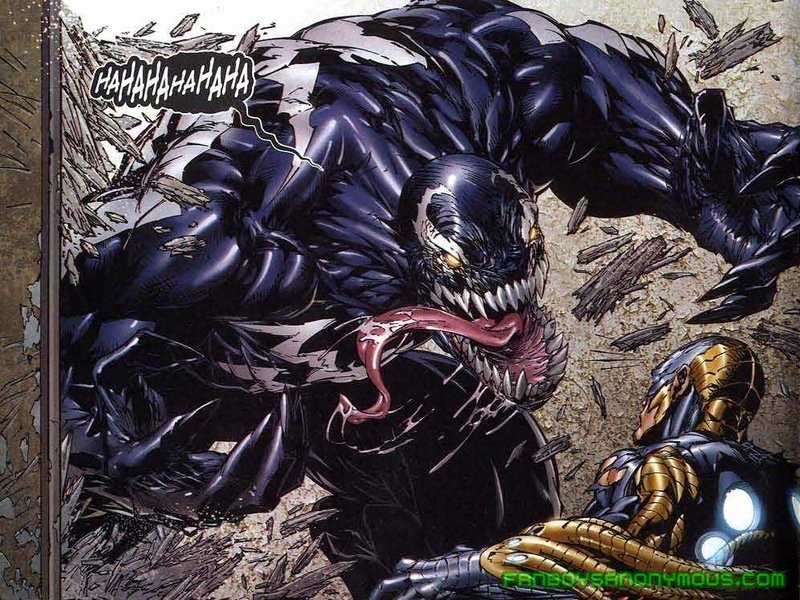 Norman Osborn used Venom as a boogeymen and leashed dog for his Thunderbolts and Dark Avengers initiative, and Gargan's Venom earned himself a bad reputation as a hulking, voracious cannibal. Where Brock refused to accept responsibility for his issues and crimes, Gargan outright flipped responsibility the bird and went on a murderous tirade when Osborn wasn't looking. Thompson is, perhaps, the only true heroic Venom of the bunch, but even he came with some baggage. Like Gargan, Thompson wasn't originally created to become Venom; Thompson was one of the few original supporting characters in Spider-Man's history. I think you can see what I mean when I say that none of these characters is at all as interchangeable as Arad suggests. Yes, the theme he attaches to Venom as a character is mostly accurate in Brock and Thompson's cases only. It does matter who is in the suit, however, and it is ignorance like Arad's that makes me and my fellow Venomaniacs worry about the film we've all been waiting for. 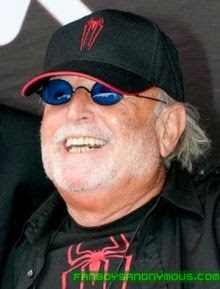 If Sony's going to hire someone to oversee a property like Venom who has a very intricate history, they had better hire someone who actually knows that history very well and has more than a passing interest in the property. Have you been scorned by a film studio's handling of your favorite property? Who are you looking forward to as Venom in his solo film? I want to hear about it, Fanboys and Fangirls. Let us grumble and geek out in the comments section below. I assure you, this is not the last you'll hear from me on the Venom movie subject—not by a long shot! I implore you to leave comments. I want to hear from you all!